Keep in mind that the biggest threat to your system is you. If you click OK and allow every request without scrutiny then your chances of infection increase drastically. 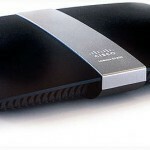 I suggest everyone use a router even if you have only one computer. I wouldn’t be without one. You can access Windows System Restore right here from the same System Properties. Click on the System Protection tab/ System Restore /Restore Files and Settings/Next/Pick a Date and follow the prompts. This is also the same area to create a new restore point or to reduce the amount of space alloted to system restore or even turn off System Restore. Take the time to familiarize yourself with this area and you will feel much more confident in your ability to use your computer. Sometimes, it’s easy to upgrade to the latest and greatest version of a piece of software. Other times, you may have a lot of trouble. That’s the fun of working with software. Microsoft rolls up a whole bunch of patches and bug fixes, and throw them out there. Those are called service packs, of course. Windows XP is on service pack 3 currently. 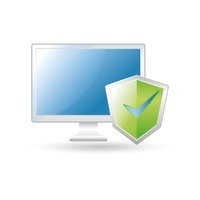 Louis from the PCPitStop community wrote in to ask about a compatibility issue with XP SP3. Howdy and Happy Independence Day to everyone in the US. The past week has seen more questions on drives and boot problems so I decided to take a good look at Windows Disk Management. Disk Management has always been a good utility, but starting with Vista and continuing into Windows 7, it has become a powerful and simple way to format and partition drives. You can manage the drive your booting from, or you can format and partition new drives for later installations and use. Let’s take a look at this weeks question and see where it takes us. 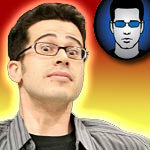 Our good friend Chris Pirillo has stepped in to help us answer one of the numerous Ask the Pros questions that have come in. This week, Chris tackles a question from Candace who is wondering “how (she) can speed up her computer without adding memory”. Every week ASK THE PROS receives questions about drivers. They are not always the same but between looking for specific drivers and wanting to know how to find drivers, the questions mount up. A few weeks back I referenced our Drivers 101 offering. It comes with every DriverAlert subscription. Itâ€™s an excellent guide but thereâ€™s something missing. How do I save the drivers that are installed on my PC now? Thatâ€™s the question to start this monthâ€™s ASK THE PROS. Lots of new questions in the Ask The Pros box this week. This first, answered by Doug Bender, will help not only Dave, but anyone who might have a compromised system. 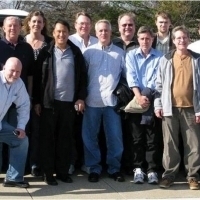 Taking advantage of the talent on our forums is an area of PC Pitstop that many people miss. Help from our fourms is a big part of our fight to keep your system clear of malware and running in top form. Q. Dave Asks: â€œHi Pro’s, Hereâ€™s my problem. Sometime after my daughter’s last visit from college my computer stopped recognizing me as the “administrator” on my “network.” Since then I have lost my control panel and can’t make any changes to my system. Have a problem that’s been bugging you for some time? Need a detailed account of RAID? 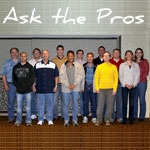 Ask The Pros is the place for those questions you’ve had nagging you for a while. This is the place to send them in and see them in the next newsletter. Give it a go! GMail, HotMail, WindowsMail, Whose got Mail? We all do, so see what’s going to be the next big deal in the battle to control your e-mail. Microsoft in, all itâ€™s wisdom, is pushing to integrate e-mail, instant messaging, photo sharing, blog publishing, and a host of other applications into a neat and tidy package called Windows Live Services. Although not included as a part of the new Windows 7 operating system it is available for download from Windows Live Download and integrates seamlessly. Getting tried of confusion over drivers? Drivers 101 is included in this edition and it’s going to be a big help to a lot of people. Simple, concise information to remove all those questions and get you on track to understanding drivers. Ever have problems opening a link in Outlook Express? Are the BIG BOYS giving you the run around? Let them know what you want and get help before your out of warranty.